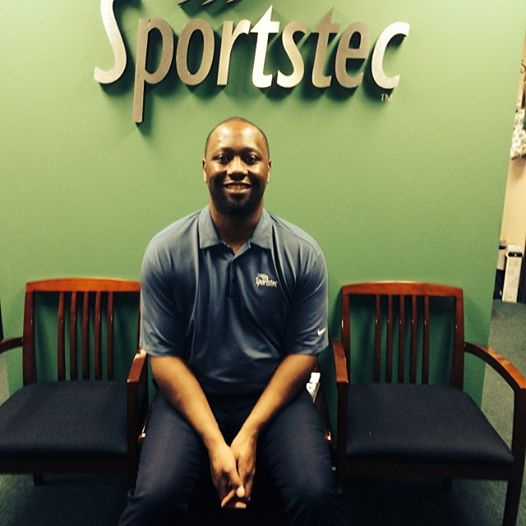 In this on-site Q&A from the October 2013 Sales 2.0 Conference, Anwar McQueen, Vice President of Sports Business Development at Sportstec, shared with us some of his takeaways about social selling and leading culture change. Why did you decide to attend the Sales 2.0 Conference? Anwar McQueen (AM): One reason I would go to an event like this is so I can see what is applicable to my job and company. Our solution is aligned with Sales 2.0 principles, and some of the panel speakers here have touched on some hot topics in my company, like how we [can] change our culture and how we [can] prepare our sales force for future needs. AM: My company’s solution is forward thinking, and my goal is to have our team culture and processes in sync with technology and selling trends. In my industry, the future needs are Cloud solutions versus the traditional marketing and reaching out to customers. What takeaways will you share with your sales team? AM: In my company, currently we’ve been focused on ABC: always be closing. But today, I heard a new definition of ABC: always be connecting. I never would have thought of it that way, but that’s a small example of something I could introduce on my next team call to move my sales force to think outside the box. How do you think that would help your team? AM: “Always be closing” is a driver that’s coming internally. It’s an old model that emphasizes selling to people and chasing down [purchase orders] and asking, “By when can you pay for this?” Connecting is a different mind-set. You try to connect with people first, build a relationship, and the selling takes care of itself. If you’re always closing, I think you can inadvertently be a turnoff. People don’t want to be around people who are always trying to sell to them. Like the speakers said during the panel discussion here, the people you connect with can essentially start selling for you, because they spread the word about you to their own networks. Are you currently using social to connect? AM: Yes, I’ve created that vision of what that means for me, and I’m in tune with Twitter, Instagram, and Facebook. But I’m not 100 percent convinced that my sales force is. From what I’m hearing here at the event, we absolutely have to be. What I also got is that [social selling] is a potential culture change and learning curve, and I get that people might be afraid of that. Good luck, and thanks for your time today. Watch this Bloomberg TV interview with Anwar McQueen to learn how Sportstec works with organizations worldwide (including NBA and Olympic teams) to help coaches and players analyze performance. This entry was posted in #s20c, Sales 2.0 Conference, Social Media and tagged Q&A, Sales 2.0 Conference, social media. Bookmark the permalink.